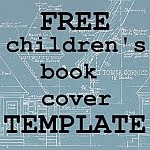 How to illustrate a children’s book for $1 a picture or less. But what if you can’t find what you’re looking for at the free sites? Stock photo sites can charge hundreds of dollars for a membership. What a hassle, am I right? That’s no problem if I’m The Huffington Post or some other big corporate website. But for little guys like us, it’s more than we’re likely to make back from all but the most successful kids’ books. I really hope you will be that successful, but wouldn’t it be nice to keep that money in your pocket instead? That’s why I want to tell you about a site I’ve been using for a while now that I absolutely love. I think you’ll love it too. Once you hear the name, you’ll understand what it’s about, start to finish. It’s called Dollar Photo Club. Why is it called that? Um, because all the photos and images there are $1 each. Totally simple, right? It works with a monthly membership, so you get a certain number of “credits” each month; they roll over if I don’t use them. Even though it’s called Dollar Photo Club, they have way more than just photos. There are lots of hand-drawn illustrations, ranging from cartoons to sketches and more. You can even click on the name of an artist to find more in the same style. Can’t you just imagine creating a story around this cute hedgehog? You know how much you’d pay an illustrator to create these images? Even with rock-bottom-priced children’s-book illustrations from fiverr, these full-colour illustrations would probably cost you $20 each, or $60 just for these three. These are from the same artist as the hedgehog up above. Note that all these images have a “watermark” in the centre. Once you’ve paid to use the design, you’ll be able to download it in crisp, clear high quality. The size varies from image to image, but most are easily good enough to print. And of course, paid images don’t have the watermark, so you can use them wherever you want. How about a story about a little girl’s day in the great outdoors? Start at the main Dollar Photo Club site. Search for whatever you’re looking for: fairies, wizards, rectangles, whatever it is. Once you find an artist you like, you can click their name to view their entire portfolio. It may take a few tries, but I guarantee that you will (probably sooner rather than later) find an artist whose work you really love. And once you do, it’s only $1 per illustration. If you join for a while and find you’re not using the membership, you can cancel anytime (you can still use up your credits, even after you’ve cancelled). I usually have the opposite problem, however: I need more images than I have credits for. If that happens to you (like if you’re doing a whole book), you can buy more credits for $1 each. There are a few things you’re NOT allowed to do with Dollar Photo Club images (most stock photo sites have the same rules). Basically, you can’t print up posters, t-shirts, mugs etc where the photo or image is the main thing you’re selling. …Well, I guess I’d be in trouble. So don’t. But don’t let that limit your imagination! Over the months I’ve been using Dollar Photo Club (actually, almost a year), I’ve included their photos & illustrations in everything from blog posts to books for adults to professional articles to entire picture books. I hope you’ll try it, too. I you don’t feel up to designing your own cover, you can still find an image you love, download it from Dollar Photo Club, and send it along to your favourite cover artist. I’ll stop now; you’ve gotten the point. You will not pay less for clip art and photos and still steer clear of copyright laws and restrictions. And it’s a really good feeling knowing that whatever type of illustration you’re looking for, you’re bound to find something that’s absolutely perfect. Like this picture… which captures perfectly just how I feel about Dollar Photo Club. All images on this page © Dollar Photo Club and used for demonstration purposes only. Links to Dollar Photo Club are affiliate links, which means I earn a small amount if you click on them. This helps me keep writing and blogging about other great tools for writers. I wouldn’t share it with you if I didn’t think it was great! It looks like if you opt for the extended license you can use the images in derivative products like mugs and t-shirts. So if you went with the "Extended royalty free license" you could maybe make promotional t-shirts or posters to accompany your books? Yes, you could definitely do that. And you can always use images that you own the copyright to. So far, the only t-shirts I've designed have been for books that I owned the artwork for.